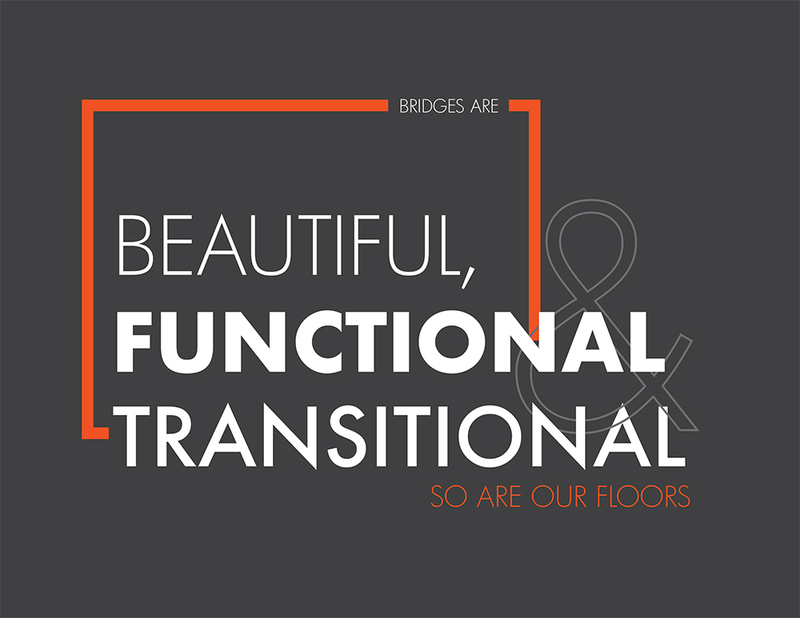 Named after Pacific NW bridges, Devine Color Floor BRIDGE with Anti-Scuff Technology brings you the best of both worlds; beautiful floors to walk on at home, strong enough to support heavy commercial traffic. Our “rain-washed” colors, inspired by the look of rain, metal and wood reflect the look of comfort and sophistication the Pacific Northwest is known for. Our Silver Wash Technology, created for this collection, offers warm metallic floor fashions. Gretchen Schauffler the Founder of Devine Color, is a color expert, specializing in translating the natural behavior of light and color in nature into color palettes for interiors and interior design products.